#Sackville PEEWEE Hawks Bring Home The Gold! | Sack-Vegas!!!! 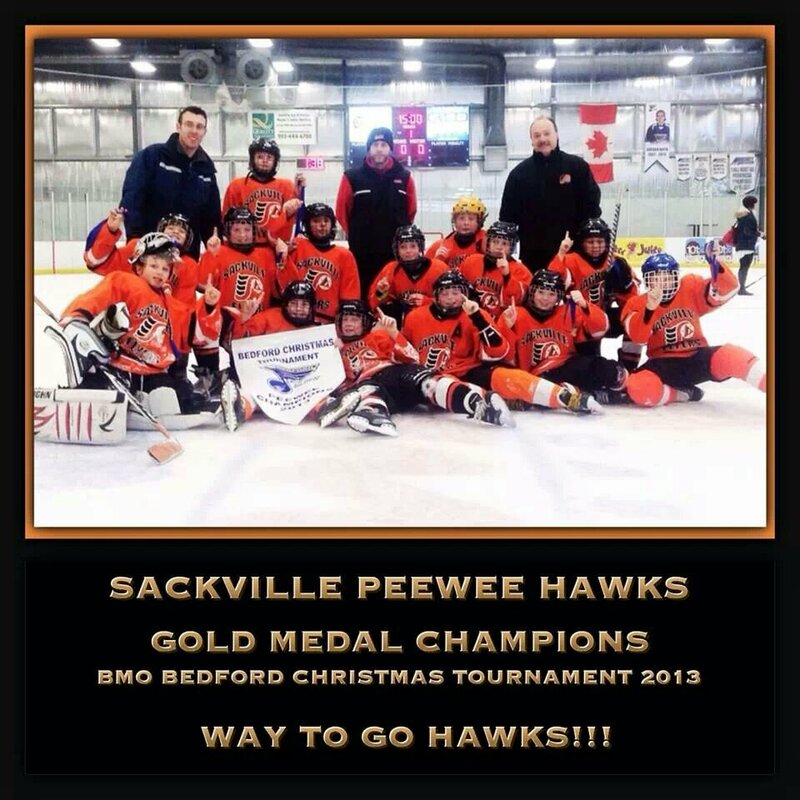 #Sackville PEEWEE Hawks Bring Home The Gold! The Sackville PEEWEE Hawks just rolled through the Bedford Minor Hockey Association Christmas Tournament at the BMO Centre in Bedford. Sweet! They swept the tournament, winning all 7 games they played and received the Gold medal today versus the TASA Storm! I’m told the gold medal game was a very clean, respectful game by Sackville Hawks & TASA Storm coaches, players and parents. In the regular season they have lost only 1 game vs. the TASA Ducks with a 15-1 record. Sounds like a powerhouse to me! Posted by Sacky on December 30, 2013 in Sacktown Talent.